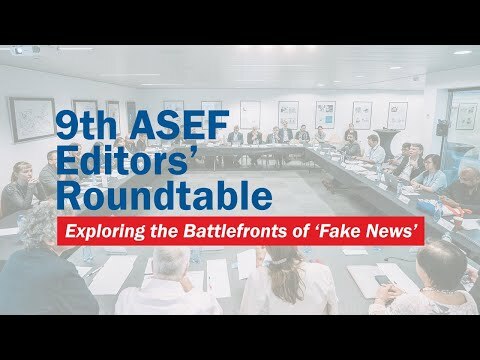 Through media projects, the Asia-Europe Foundation (ASEF) creates unique networking platforms for the exchange of views and ideas as well as cooperation among mass media representatives of Asia and Europe. The media projects address themes aligned with the agenda of the Asia-Europe Meeting (ASEM) which examine current issues relevant to Asia-Europe relations, challenges faced by the media industry, as well as the professional development of media personnel. Under the media theme, ASEF organises two project series, each taking place on alternate years. The ASEF Journalists' Seminar (ASEFJS) takes place alongside the ASEM Foreign Ministers' Meeting (ASEM FMM).